The M.I.M.C. Co. Ltd. Chelmsford. The Marconi 365 EZ. 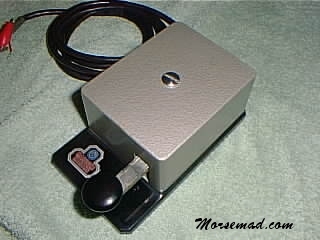 Developed from the 365A & 365B, it has ball races and lots of key click suppression, and even a set of spare contacts. This fine example is in pristene condition. The grey cover has "Eddystone 6908P" on the underside. 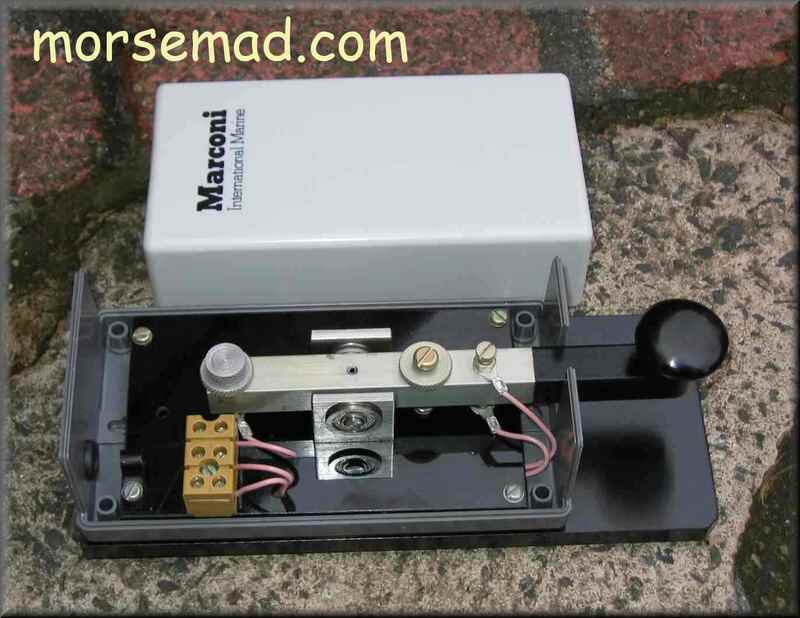 The Marconi 365EZ and Marconi's purchase of Eddystone Radio. By Ron Stringer. "Marconi's had been shareholders for many years, but Eddystone Radio was wholly taken over by the Marconi Company (which itself was owned by the English Electric Company) in 1965. A couple of years later English Electric was taken over by Arnold Weinstock's GEC-AEI conglomerate and both Eddystone and Marconi were part of the sale. The company name was changed by dropping the word 'Communication' at around this time, to reflect the fact that the products offered to the Marine market (which included depth sounders, direction finders, radars, CCTV equipments, SRE products) were not adequately described by the original title. The reason for the Eddystone name appearing inside the cover of the MIMCo 365EZ key (and probably inside the cover of its replacement, the Z50- etc) was that the brass cover of the earlier 365 series of keys was hand made and outrageously expensive to manufacture. 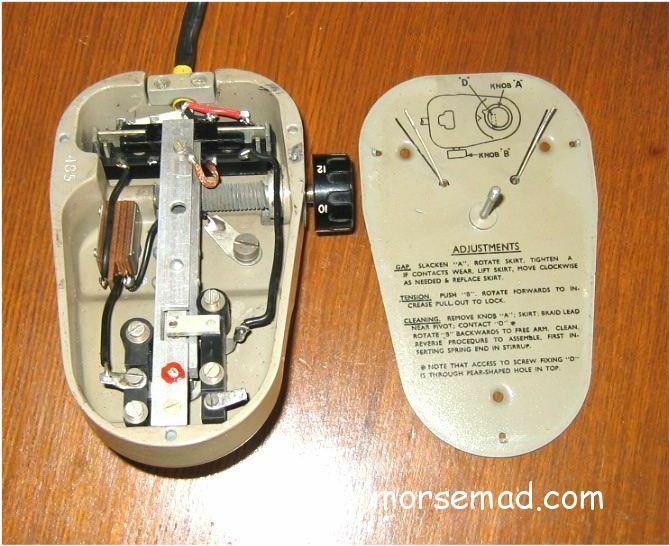 It only served to keep muck and foreign bodies out of the key, and to keep rfi inside the box, so it had to be replaced as a cost-cutting action. Eddystone Radio had a sideline in making diecast aluminium boxes in standard sizes for use by amateurs and makers of machinery controls. (This was an offshoot of the way that Eddystone built the sensitive parts of their radio receivers as an assembly of screened diecast boxes, rather than by the more common method of bending and soldering compartments into a chassis made of tinplate. as STC Components, Radio Spares and Maplin). 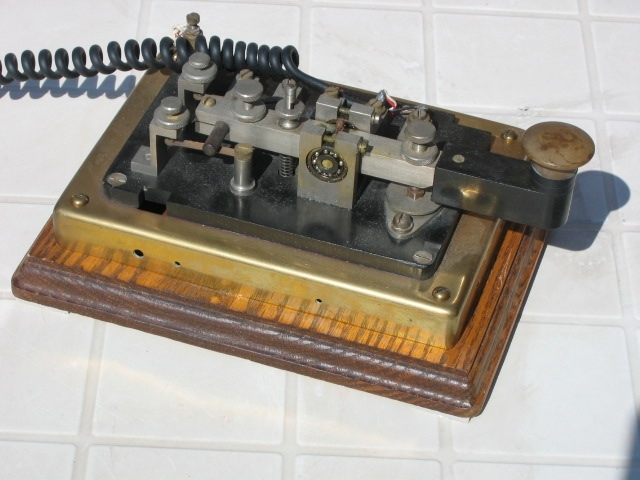 So at Marconi we designed out the very expensive brass cover and replaced it with a standard, diecast, Eddystone box. 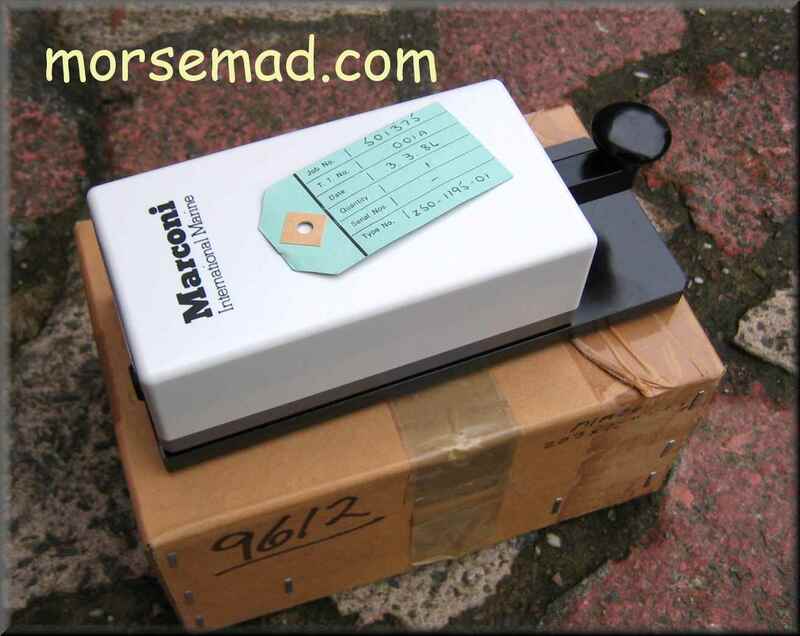 The Z50- was designed some time in the 1980s when Marconi Marine (MIMCo) moved its drawing office nomenclature from the general one used by its parent, MWT, to one that was specific to MIMCo. All our drawings began with Z and the sequence Z50- was used not for major products but for ancillaries such as morse keys, battery chargers, antenna switching units and so on". Ron Stringer. 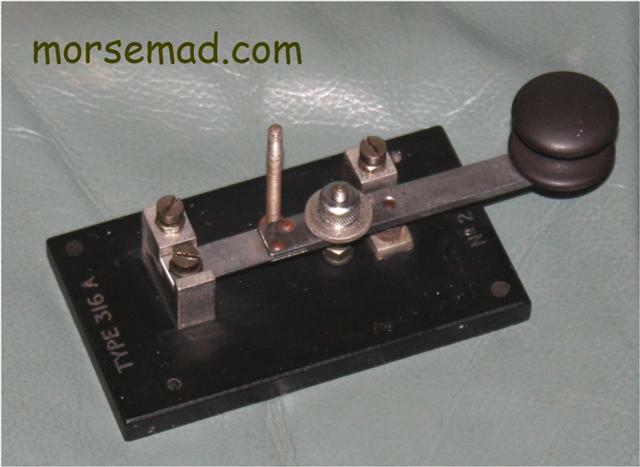 The MARCONI KEY TYPE 316A. A small Marconi key c 1920. The base measures 4" by 2 & 1/4" ( 101mm by 58mm). 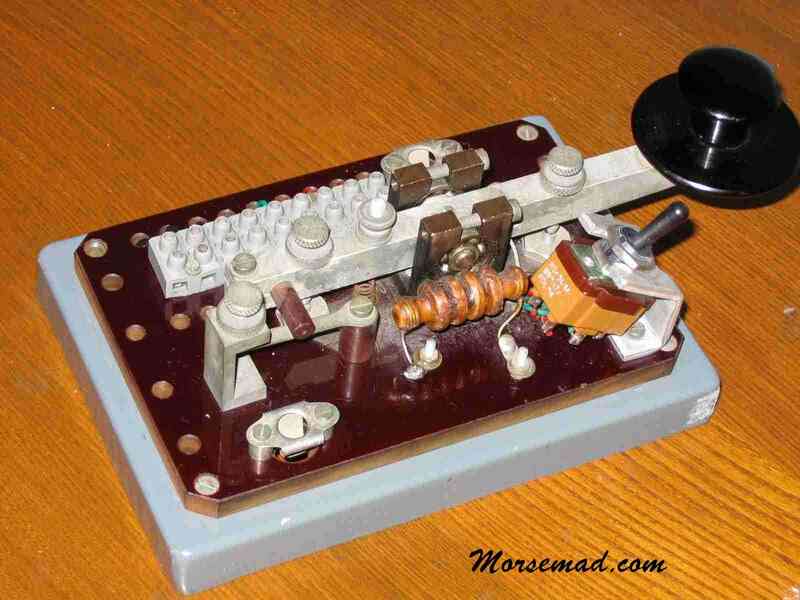 It was called the Marconi Auto Alarm key Type 316A. This small key has a cast alloy cover that was painted grey. The above example is awaiting a re-paint. 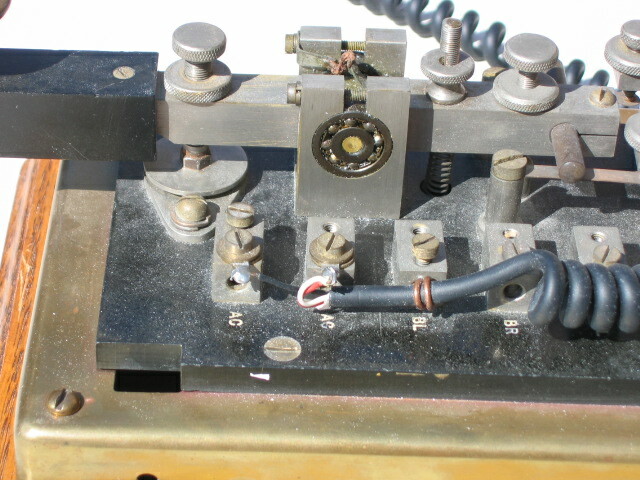 Thess keys were used with the Auto-Alarm equipment consisting of the Auto-Alarm Bell Type 117, the Auto- Alarm Buzzer Type 226, the Auto-Alarm Receiver Type 332, and the Auto-Alarm Selector Type 333, All circa 1920. 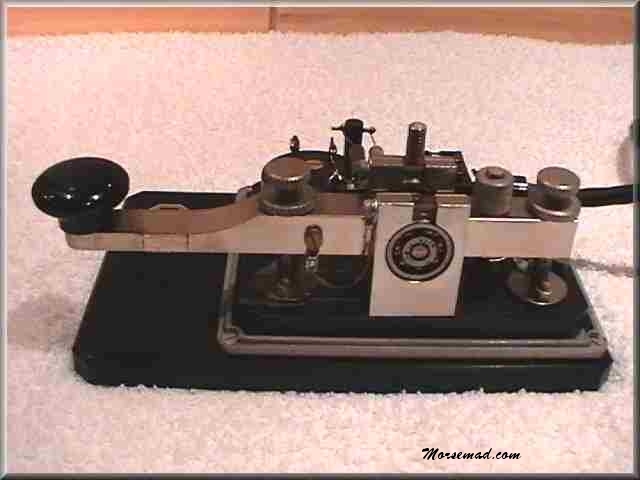 The MARCONI KEY TYPE 971. Quite small for a Marconi key this one, and an unusual shape. 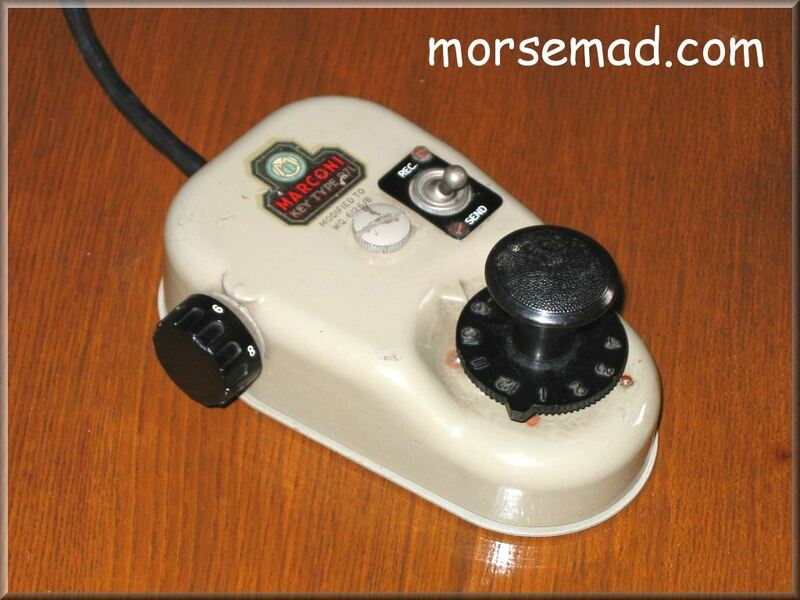 From the 50's - 60's I think and early examples were minus the switch on top. Not a great success as the key does not feel as great to use as the good old 365's. etc.. The base measures about 5.5" by 3.4" ( 140mm by 85mm). The last of the Marconi keys - the Z50. The base is 200mm by 80mm ( 8" by 3" ) and the key is dated 3. 3. 86. The label reads - TRANSMITTING KEY ASSEMBLY. IDENTITY Z50-1195-01. Ser No. (blank). MADE IN ENGLAND. THE M.I.M.Co.LTD.. CHELMSFORD. 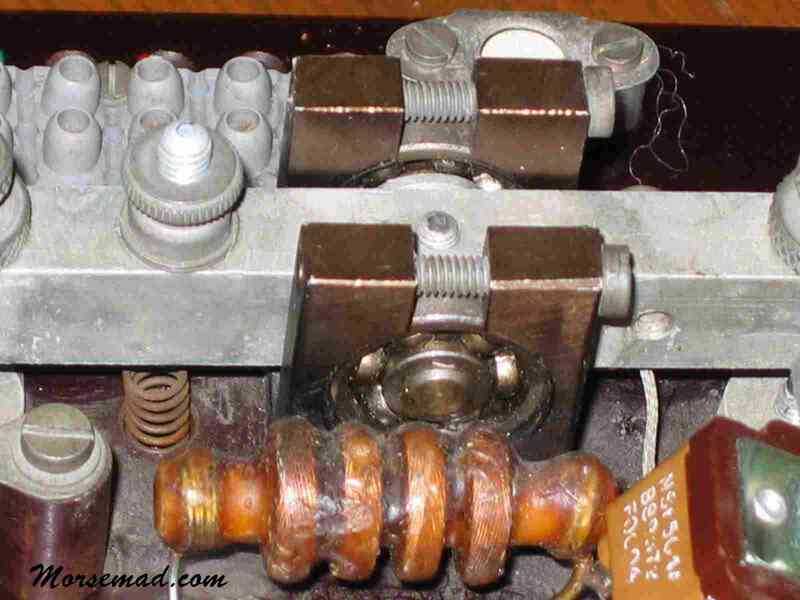 A Marconi made Redifon A4084. EDN-C ( Redifon - formed in 1948 was part of the large REDIFUSION company). Not much known about this key. Smaller than the 365A/B keys at 6.5" by 4.5". The metal base is in Battleship grey and the original cover would have been either black or grey. An EDN-A key can be seen on the "MARINE KEYS" page - that example has a black cover. A Marconi 365A. Perhaps the largest key made, the brass base measuring about 7.25" by 5.25" (185mm by 135mm). 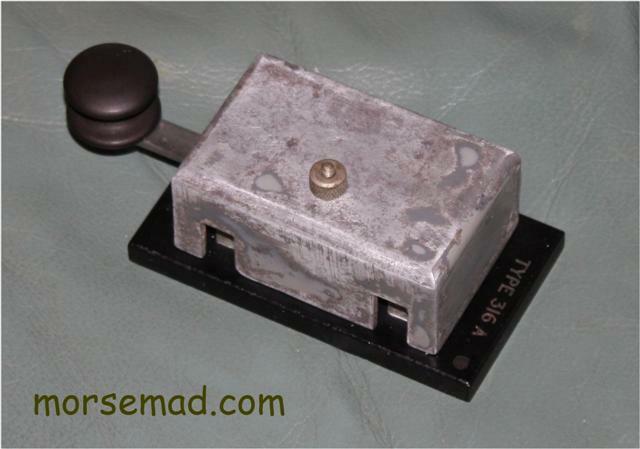 This Navy key was originally fitted with a large brass cover that was painted, along with the base, in battleship gray. (See also MARINE KEYS).